After a long winter’s training it was nice to be back in a race scenario, but not so nice when the alarm went off at 4am in the morning. This triathlon was based at Radley College, Abingdon and a nice place to have a triathlon. We arrived in plenty of time & by this time the rain had stopped that had been with us for most of the drive up there. 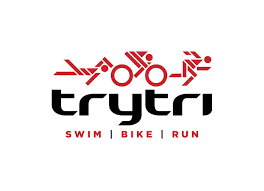 I registered, numbered the bike & helmet & got transition set up & then it was off to the pool for a 400mtr swim, which went well with no untoward issues. I did have to semi-stop at lane end to let some quicker swimmers past & then it was a case of walking around the big pool then around the diving pool as no running was allowed otherwise you would’ve been disqualified. Once I had arrived at my trusted steed, it was still a fairly cold morning so decided on socks, gloves & a long-sleeved jersey then I headed off onto the two lap, 22K bike ride. The roads were really wet from all the rain that we’d had from the night before. The bike ride wasn’t too taxing & went quite smoothly except for one issue where I had to stop at some temporary traffic lights on the first lap. I managed to get through them though on the second lap. Into T2 where the jersey came off, running shoes on then headed off onto a 5K, multi-loop (i.e. one big loop followed by a different small loop). I got rid of the gloves by passing them to Coach 2 as she was standing 300mtrs into the run course. The run course was a bit difficult on the first big loop because we had to run through a farmer’s field which was so slippery so it was a case of one step forward & then one slide to the right followed by one slide to the left, then repeat for the whole of the big loop. As for the smaller loop, this was round the sports field which seemed like I was running through a continuous puddle. The finish was on the college’s athletic track, so a nice way to finish what had been a very muddy race.